Field59 can also deliver your stream to other platforms that have their own streaming infrastructure and distribution, such as Twitter. 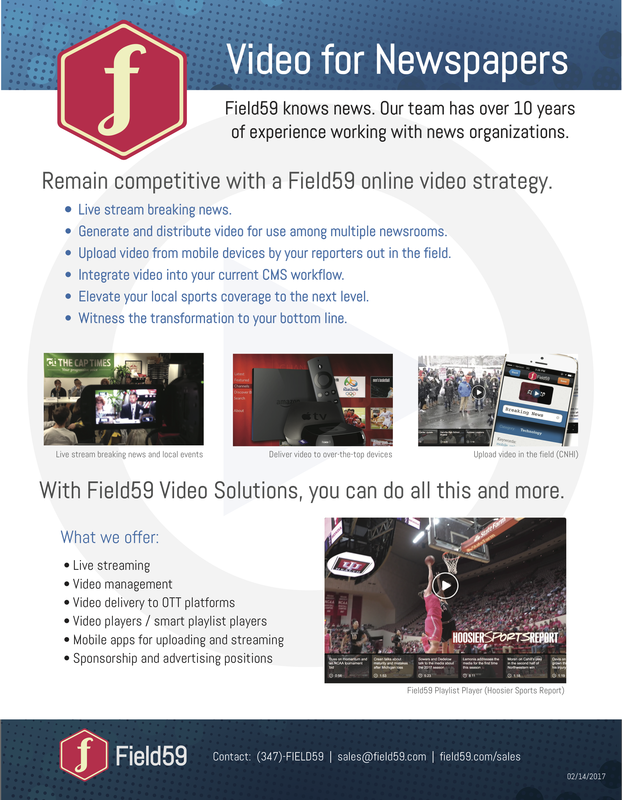 By following the steps in this article, you can stream content on Twitter while also streaming through the Field59 player, simultaneously recording your stream to create a video archive in your Field59 account. Twitter offers live streaming on its platform through Periscope, a live streaming video mobile app that Twitter acquired in 2015. Twitter offers two methods of live streaming through Periscope. The first method, in which you can simply tap the live video icon when creating a Tweet in the Twitter for iOS or Twitter for Android mobile app, allows users to stream on Twitter, from the Twitter mobile app. This connects Twitter directly to your mobile device. Twitter is the only destination to which you can stream if you choose this option. 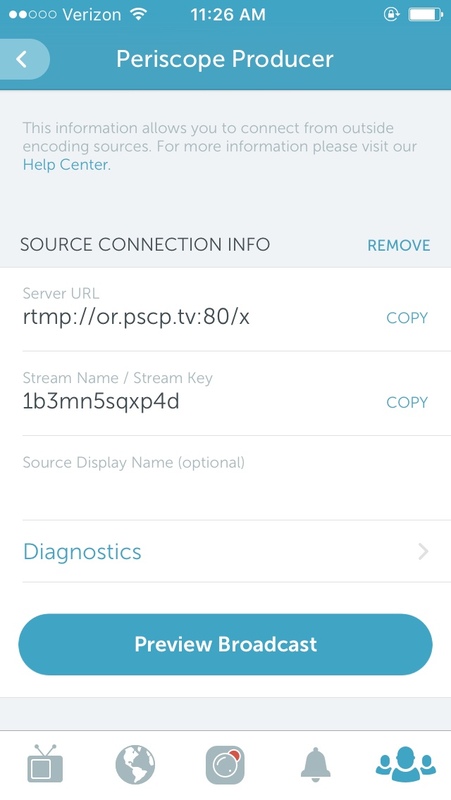 However, if you’d like to multicast your stream on your website in a Field59 player at the same time, or to another platform like YouTube Live, or if you are using a separate encoder other than your mobile device, you can configure Periscope to generate publishing information that Field59 can use to distribute your live stream to Periscope. First, open the Periscope app and log in with your Twitter account. (You must authenticate with Twitter rather than the other logins options provided, in order to be able to later create a Tweet containing your stream. Otherwise the stream will be available on the Periscope website but not on Twitter.) Next, click on the icon at bottom right that looks like silhouettes of people. Then, click on the icon at top right to access your Periscope settings. Scroll down until you see Settings. Click on that, then scroll down to Periscope Producer. Click on + Create Additional Source. 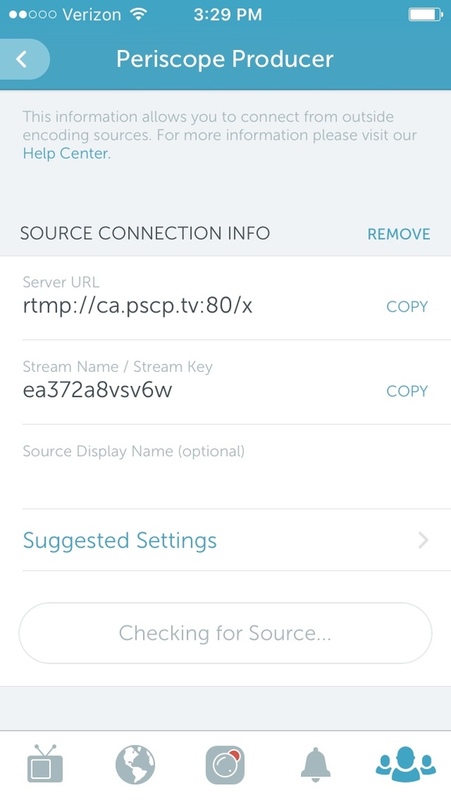 Copy the Server URL and Stream Name / Stream Key information that is generated, or take a screenshot. Send this information Field59 Support. Field59 will need to input this information in the Field59 live cloud in order to publish your stream to your Periscope account. (You cannot proceed below until this is completed). Once this done for the first time, you will not need to repeat this step. 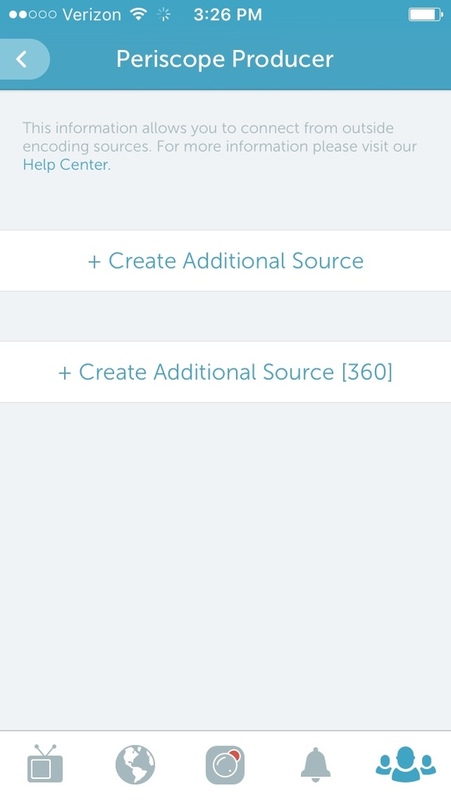 Important: Do not click the REMOVE button at top right after clicking on Create Additional Source, or this will remove your Periscope publishing point, and when you generate a new connection, Field59 would no longer have the correct publish point configured for your stream. If you do accidentally click REMOVE, please repeat the steps to create a new additional source, and send the updated information to Field59 to update your account. 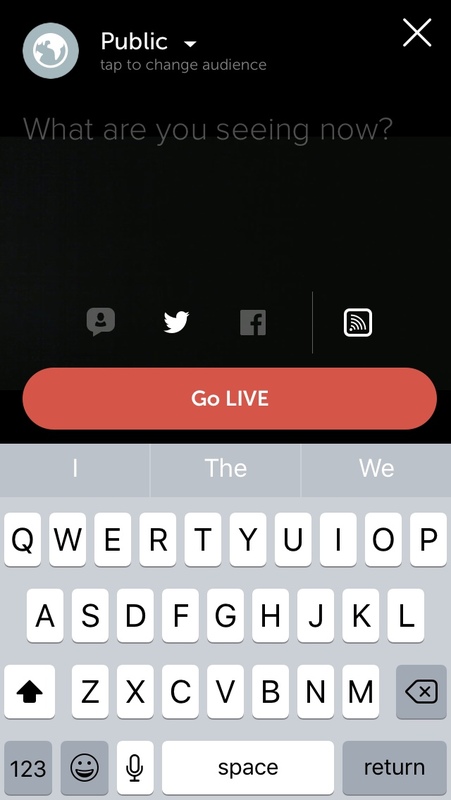 In Periscope, give your broadcast a title. The title is also used as the text of the Tweet. Ensure that the Twitter option is selected so that your stream generates a Tweet. (There is also a Facebook option so you can create a post on Facebook, however this only posts to personal Facebook accounts, not business/brand pages. Also, it does not use the Facebook Live platform so is not recommended because it behaves just like any other post you may share on Facebook). Finally, select Go Live when you are ready to start your broadcast. At this time the broadcast will be posted to Twitter. The broadcast is also published on the Periscope website. To stop the stream on Twitter, swipe down on the screen, and select Stop Broadcast. When your event ends, Periscope will save the recording, and it will be available for replay in the Tweet you sent when you began the broadcast. You can delete your past broadcasts at any time. Deleting a Tweet with your live video will delete the video from Periscope as well. Deleting your video from the Periscope app will not automatically delete the Tweet from Twitter, however. If you wish to stream through the Field59 player and record your stream into your Field59 account at the same time that you are streaming to Twitter, follow our guides to publishing live stream events and setting events to record in the Field59 manager.